Basements are extremely versatile areas of our homes that can be neglected at times. These rooms have the ability to be whatever we choose to convert them into, such as offices, extra storage space, gyms, dens, and so forth. Think about it. Once they have been deemed useful as a specific area, they’re typically either forgotten about or highly used. That is why an epoxy basement floor is an extremely necessary investment. But the best part about the investment is that it is extremely affordable. Imagine having a basement that smells like a brand new area, where the floor fights against mold, and typical basement moisture doesn’t ruin the foundation of your floor. If you want a strong, attractive, durable, and long-lasting basement floor, then this is the floor for you. We want to help your vision come true. With an epoxy basement floor, you have the ability to create endless looks. The floors will be resilient and will provide a sound structure from the bottom of your home. 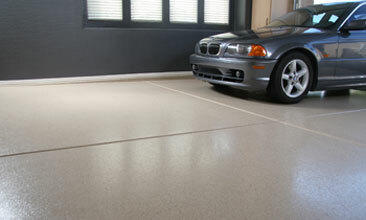 Epoxy coatings for basement floors are, essentially, the strongest option for a flooring system. They are resistant to wear and tear chemical penetration, and they are waterproof. The top epoxy coating adds a protective layer on your concrete floor refusing to allow any chemical, stain, grease, oil, or crack destruction. Concrete basement epoxy floors have a longer lifespan than any other type of floor you could put in that environment. Because of the epoxy coating’s resistance to any type of typical damage your investment on your floor will repay itself. The lifespan of each floor varies because of the amount used each basement undergoes. If your basement has a high level of foot traffic you will need to upkeep your floor more often than someone who uses their floor less frequently. When you compare an epoxy flooring system, per square foot, with any other flooring system on the market, you realize how affordable an epoxy floor is. Epoxy coatings for basement floors beat out any other floor on the market because they’re affordable and durable. 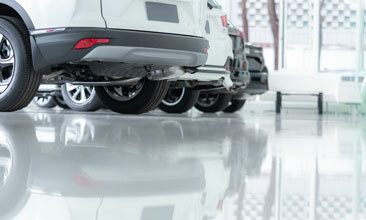 The longevity of an epoxy floor is the main factor in its attractive price tag. Having epoxy flooring in an environment like the basement is beneficial because of the protective layer it adds, the variety this flooring system allows, and the low maintenance it affords. Elegance and beauty are strange to think about when you’re describing the floor of your basement. But that is one of the benefits when you go with an epoxy floor coating for your basement floor. Epoxy floors offer a number of choices that are economically friendly. 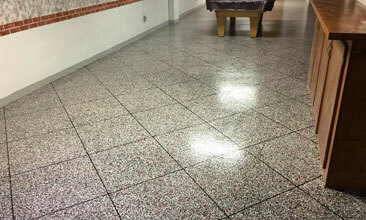 We offer metallic epoxy basement floors, white epoxy basement floors, and black epoxy basement floors. Give us a call for more detail on the different floors we offer. When you allow professionals, like us, to install an epoxy floor you are bound to have that floor for decades to come. These floors are durable against the strongest of pollutants without cracking or peeling. Again, the affordability of these floors for the amount of time that they last pay for itself. An epoxy basement floor is one of the lowest maintenance floors you can ever install. 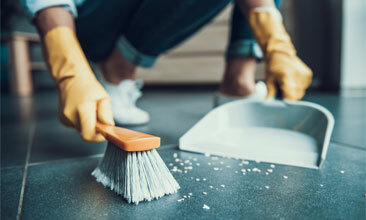 Basic sweeping to keep harmful debris from scratching or seriously harming the floors is always encouraged on a daily basis; however, deep cleaning is actually discouraged from being performed too often. Epoxy has a glossy finish that can be dulled with strong cleaning products and or deep cleaning the floors too often. Are you in the Grand Rapids area? Then we are ready to hear from you today! No other company in the Grand Rapids area will serve you with the professionalism that we offer. We have worked in this area for years and have become accustomed to the different types of weather that could affect your basement floor. 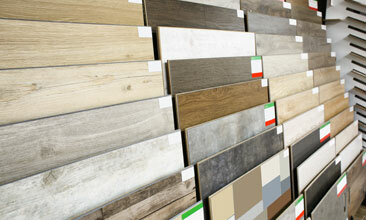 Aside from the weather, we know what type of customized floors will suit you, your lifestyle, and your home. With high-end materials offered at low-end prices, we are ready to serve you. Get friendly expert advice when you call us today. We want to give you the best experience at the lowest price.